Being a regular coffee and red wine drinker I have started to think about possible staining building up on my teeth but don’t use anything other than my regular Colgate Total toothpaste. One afternoon doing my weekly food shop this caught my eye as it was on offer. accelerators it safely removes stains and prevents tartar build-up. Continued use will help keep them whiter for longer. So there you have it, the proof it really does work! It also tastes like normal toothpaste and not all weird and salty! I’ve carried on using it and have almost finished the tube. 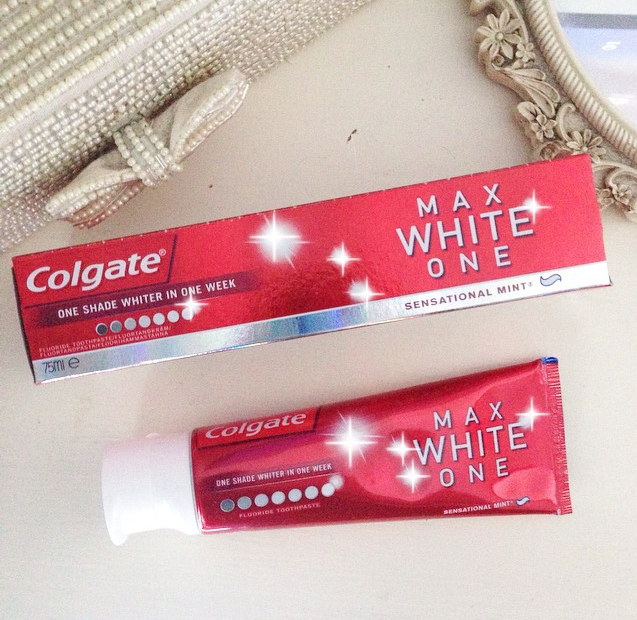 It’s now got me thinking about other teeth whitening affordable toothpastes, it’s an area I’ve never looked into so I am keen to try some other brands. What do you guys use to keep your pearly whites bright?